Perfect for ages 3 years and above girls and boys. 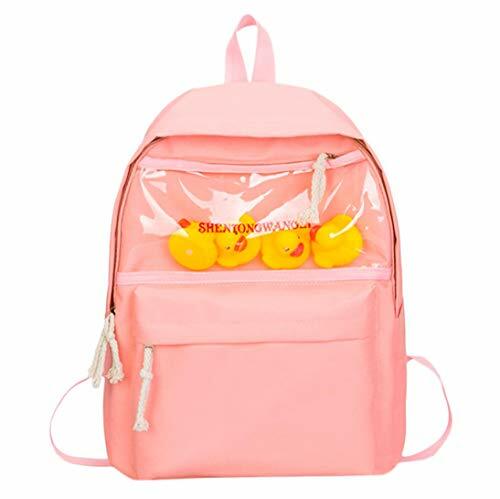 It is cute and lovely backpack and toy for your toddlers. The padded shoulder straps are also adjustable, making them comfy for little shoulders.Very suitable for children as a holiday gift. 1.Please allow little color difference due to different camera or different screen display. 2.There is maybe 0.5-2 inch diffenence due to different measurement. Size is for reference only, there may be a little difference with what you get.  BEST SCHOOL SEASON GIFTS - Suitable for baby, kids under 3 years old. Whether they are heading off to school, or going on their first big adventure, your little one will love carrying their very own backpack. Cartoon animals pattern design makes your kids looks more cute and special, lovely.  100% SATISFACTION GUARANTEE - When you order from us, you're in good hands with our no-risk, no-questions asked Money Back Guarantee and Top-Rated customer service. A brand that's committed to your success! If you have any questions about this product by Vertily Bag, contact us by completing and submitting the form below. If you are looking for a specif part number, please include it with your message.